Stacey Wright, BSN, RN has been appointed to the American Health Council’s Board of Nurses. Wright’s seven years in the healthcare industry are marked by excellent patient care and mentorship. American Health Council looks forward to having Wright’s clinical expertise in Urology and Nursing on its Nursing Board. Wright has always loved the medical field and the human body. She excelled in her biomedical science classes as a young student and decided to dedicate her professional life to patient care. Drawn to the prospect of professional fulfillment, Wright earned a BSN from Brigham Young University in 2010. As a nurse she champions a patient-focused approach. Toward this end, Wright proudly invests the necessary time and compassion to help patients and their families through difficult times. Wright uses this commendable approach in her position as Nurse Team Leader in the Urology Department at non-profit Kaiser Permanente in Oregon where she has been for the past four years. In addition to her regular RN duties, Wright oversees LPN and medical assistants, formulates department protocols, and mentors new nurses. She champions Kaiser Permanente’s ambition to serve their communities and members by creating safe, healthy environments for all. Wright’s fierce dedication and clinical acumen have led to shining professional accomplishments throughout her seven years of experience. She was nominated for the March of Dimes Nurse of the Year award in 2014, earned the Kaiser National Extraordinary Nurse Award in 2015, and won the Ambulatory Care Nurse of the Year award from March of Dimes in 2016. Furthermore, she is a member of the Society of Urological Nurses and Associates. Her professional prosperity is bolstered by the never-ending support of her family, guidance from her nursing mentors, and strength of her religious beliefs. In her private life, Wright selflessly serves as a volunteer RN at Southwest Health Center. She has educational ambitions for the next few years, hoping to gain further academic training from the University of Portland. Wright will continue to treat each patient with the highest-quality care and looks forward to positively impacting more lives. She uses her free time to bake, play sports, and hike. Wright takes distinct pleasure in reading a good book and working on her garden. The American Health Council is proud to welcome Stacey Wright, BSN, RN to their nationwide collective of healthcare leaders. Clinical expertise in Urology & Nursing. 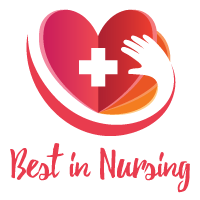 Nominated for the March of Dimes Nurse of the Year award in 2014, earned the Kaiser National Extraordinary Nurse Award in 2015, & won the Ambulatory Care Nurse of the Year award from March of Dimes in 2016. Kaiser Permanente is a not-for-profit health system serving more than 11 million members from 600 + locations in 8 states & D.C.
Society of Urological Nurses and Associates.